David Peralta Insert - Team Heroes 16 Diamondbacks ?? Max Scherzer Insert - 2003 DK Retro 6 Diamondbacks ?? Paul Goldschmidt Insert - 2002 DK Retro 7 Diamondbacks ?? Randy Johnson Insert - 2002 DK Retro 1 Diamondbacks ?? Bryse Wilson Base 96 Braves ?? Chipper Jones Base 36 Braves ?? Chipper Jones Insert - DK Flashbacks 17 Braves ?? Eddie Stanky Base 9 Braves ?? Freddie Freeman Base 93 Braves ?? Freddie Freeman Insert - 2003 DK Retro 7 Braves ?? Freddie Freeman Insert - Masters of the Game 14 Braves ?? Greg Maddux Insert - The 300 4 Braves ?? Kolby Allard Base 61 Braves ?? Kyle Wright Base 76 Braves ?? Ozzie Albies Base 81 Braves ?? Ozzie Albies Insert - Base Variations 81 Braves ?? Ozzie Albies Insert - Squires 18 Braves ?? Ronald Acuna Jr. Base 40 Braves ?? Ronald Acuna Jr. Insert - DK 205 10 Braves ?? Ronald Acuna Jr. Insert - Gallery of Stars 2 Braves ?? Ronald Acuna Jr. Insert - Squires 4 Braves ?? Ronald Acuna Jr. Insert - Team Heroes 10 Braves ?? Sean Newcomb Insert - Squires 20 Braves ?? Tom Glavine Insert - The 300 10 Braves ?? Touki Toussaint Base Short Print 103 Braves ?? Warren Spahn Insert - The 300 3 Braves ?? Adam Jones Insert - Team Heroes 30 Orioles ?? Brooks Robinson Base 56 Orioles ?? Brooks Robinson Insert - Heirs to the Throne Dual Player 14 Orioles ?? Cal Ripken Base Short Print 121 Orioles ?? Cal Ripken Insert - DK 205 1 Orioles ?? Cal Ripken Insert - DK Flashbacks 4 Orioles ?? Cedric Mullins Base 77 Orioles ?? George Sisler Insert - 1919 Diamond Kings 13 Orioles ?? Luis Ortiz Base Short Print 108 Orioles ?? Satchel Paige Base 21 Orioles ?? Satchel Paige Insert - Base Variations 21 Orioles ?? Andrew Benintendi Base 59 Red Sox ?? Andrew Benintendi Insert - Gallery of Stars 4 Red Sox ?? Babe Ruth Insert - 1919 Diamond Kings 1 Red Sox ?? Babe Ruth Insert - Babe Ruth Collection 4 Red Sox ?? Chris Sale Base 84 Red Sox ?? Chris Sale Insert - Heirs to the Throne Dual Player 1 Red Sox ?? J.D. Martinez Base 39 Red Sox ?? Jimmie Foxx Base 20 Red Sox ?? Joe Wood Base 10 Red Sox ?? Mookie Betts Base 95 Red Sox ?? Mookie Betts Insert - 2002 DK Retro 10 Red Sox ?? Mookie Betts Insert - Base Variations 95 Red Sox ?? Mookie Betts Insert - DK 205 20 Red Sox ?? Mookie Betts Insert - Downtown 4 Red Sox ?? Mookie Betts Insert - Masters of the Game 1 Red Sox ?? Mookie Betts Insert - Portraits 14 Red Sox ?? Mookie Betts Insert - Team Heroes 1 Red Sox ?? Pedro Martinez Insert - 2002 DK Retro 2 Red Sox ?? Pedro Martinez Insert - Heirs to the Throne Dual Player 1 Red Sox ?? Roger Clemens Base 44 Red Sox ?? Roger Clemens Insert - DK Flashbacks 7 Red Sox ?? Roger Clemens Insert - The 300 5 Red Sox ?? Ted Williams Base 22 Red Sox ?? Ted Williams Insert - HOF Heroes 5 Red Sox ?? Tris Speaker Base 12 Red Sox ?? Wade Boggs Insert - Base Variations 22 Red Sox ?? Wade Boggs Insert - DK Flashbacks 20 Red Sox ?? Anthony Rizzo Base Short Print 135 Cubs ?? Anthony Rizzo Insert - 2004 DK Retro 7 Cubs ?? Anthony Rizzo Insert - DK 205 23 Cubs ?? Greg Maddux Insert - DK Flashbacks 5 Cubs ?? Javier Baez Base Short Print 150 Cubs ?? Javier Baez Insert - Base Variations 44 Cubs ?? Javier Baez Insert - DK 205 8 Cubs ?? Javier Baez Insert - Downtown 2 Cubs ?? Javier Baez Insert - Heirs to the Throne Dual Player 11 Cubs ?? Javier Baez Insert - Masters of the Game 10 Cubs ?? Javier Baez Insert - Portraits 12 Cubs ?? Javier Baez Insert - Team Heroes 6 Cubs ?? Kris Bryant Base Short Print 139 Cubs ?? Kris Bryant Insert - Base Variations 139 Cubs ?? Kris Bryant Insert - Portraits 8 Cubs ?? Ryne Sandberg Base Short Print 105 Cubs ?? Ryne Sandberg Insert - Base Variations 105 Cubs ?? Ryne Sandberg Insert - Heirs to the Throne Dual Player 11 Cubs ?? Eddie Cicotte Insert - 1919 Diamond Kings 10 White Sox ?? Eddie Collins Insert - 1919 Diamond Kings 4 White Sox ?? Eloy Jimenez Insert - Heirs to the Throne Dual Player 5 White Sox ?? Eloy Jimenez Insert - Squires 9 White Sox ?? Frank Thomas Base Short Print 148 White Sox ?? Frank Thomas Insert - DK 205 16 White Sox ?? Frank Thomas Insert - DK Flashbacks 11 White Sox ?? Frank Thomas Insert - Heirs to the Throne Dual Player 5 White Sox ?? Joe Jackson Base 25 White Sox ?? Joe Jackson Insert - 1919 Diamond Kings 2 White Sox ?? Joe Jackson Insert - Joe Jackson Collection 1 White Sox ?? Joe Jackson Insert - Joe Jackson Collection 3 White Sox ?? Joe Jackson Insert - Joe Jackson Collection 4 White Sox ?? Joe Jackson Insert - Joe Jackson Collection 5 White Sox ?? Jose Abreu Insert - Team Heroes 28 White Sox ?? Lefty Williams Insert - 1919 Diamond Kings 14 White Sox ?? Michael Kopech Base 50 White Sox ?? Jake Daubert Insert - 1919 Diamond Kings 3 Reds ?? Joey Votto Base 71 Reds ?? Joey Votto Insert - 2002 DK Retro 9 Reds ?? Joey Votto Insert - Team Heroes 24 Reds ?? Johnny Bench Base 48 Reds ?? Nick Senzel Insert - Squires 16 Reds ?? Corey Kluber Base 86 Indians ?? Early Wynn Insert - The 300 6 Indians ?? Francisco Lindor Base Short Print 145 Indians ?? Francisco Lindor Insert - 2004 DK Retro 10 Indians ?? Francisco Lindor Insert - Downtown 10 Indians ?? Francisco Lindor Insert - Masters of the Game 7 Indians ?? Francisco Lindor Insert - Portraits 10 Indians ?? Jake Bauers Base 58 Indians ?? Joe Jackson Insert - Joe Jackson Collection 2 Indians ?? Joe Sewell Base 28 Indians ?? Jose Ramirez Base Short Print 130 Indians ?? Jose Ramirez Insert - 2003 DK Retro 9 Indians ?? Jose Ramirez Insert - Base Variations 130 Indians ?? Jose Ramirez Insert - Masters of the Game 9 Indians ?? Jose Ramirez Insert - Portraits 6 Indians ?? Jose Ramirez Insert - Team Heroes 8 Indians ?? Larry Doby Base Short Print 132 Indians ?? Tris Speaker Insert - 1919 Diamond Kings 8 Indians ?? Brendan Rodgers Insert - Squires 17 Rockies ?? Garrett Hampson Base 52 Rockies ?? Kyle Freeland Base 53 Rockies ?? Nolan Arenado Base Short Print 107 Rockies ?? Nolan Arenado Insert - DK 205 9 Rockies ?? Nolan Arenado Insert - Downtown 9 Rockies ?? Nolan Arenado Insert - Gallery of Stars 10 Rockies ?? Nolan Arenado Insert - Heirs to the Throne Dual Player 14 Rockies ?? Nolan Arenado Insert - Masters of the Game 12 Rockies ?? Nolan Arenado Insert - Team Heroes 9 Rockies ?? Trevor Story Base Short Print 147 Rockies ?? Trevor Story Insert - Portraits 11 Rockies ?? Al Kaline Base 74 Tigers ?? Christin Stewart Base 99 Tigers ?? Hank Greenberg Base 2 Tigers ?? Harry Heilmann Insert - 1919 Diamond Kings 15 Tigers ?? Justin Verlander Insert - 2004 DK Retro 6 Tigers ?? Miguel Cabrera Base 34 Tigers ?? Miguel Cabrera Insert - Team Heroes 26 Tigers ?? Sam Crawford Base 83 Tigers ?? Ty Cobb Base 26 Tigers ?? Ty Cobb Insert - 1919 Diamond Kings 7 Tigers ?? Ty Cobb Insert - Base Variations 26 Tigers ?? Ty Cobb Insert - HOF Heroes 10 Tigers ?? Alex Bregman Base 60 Astros ?? Alex Bregman Insert - Base Variations 60 Astros ?? Alex Bregman Insert - Downtown 7 Astros ?? Alex Bregman Insert - Gallery of Stars 5 Astros ?? Alex Bregman Insert - Masters of the Game 11 Astros ?? Alex Bregman Insert - Team Heroes 2 Astros ?? Cionel Perez Base 97 Astros ?? Craig Biggio Insert - Heirs to the Throne Dual Player 13 Astros ?? Forrest Whitley Insert - Heirs to the Throne Dual Player 7 Astros ?? Forrest Whitley Insert - Squires 12 Astros ?? Framber Valdez Base Short Print 101 Astros ?? Jose Altuve Base 38 Astros ?? Jose Altuve Insert - DK 205 21 Astros ?? Jose Altuve Insert - Gallery of Stars 1 Astros ?? Jose Altuve Insert - Heirs to the Throne Dual Player 13 Astros ?? Josh James Base 63 Astros ?? Justin Verlander Base 88 Astros ?? Justin Verlander Insert - DK 205 7 Astros ?? Justin Verlander Insert - Masters of the Game 6 Astros ?? Kyle Tucker Base Short Print 118 Astros ?? Kyle Tucker Insert - Squires 11 Astros ?? Myles Straw Base Short Print 140 Astros ?? Nolan Ryan Insert - Heirs to the Throne Dual Player 7 Astros ?? Roger Clemens Insert - 2004 DK Retro 3 Astros ?? Brad Keller Base 32 Royals ?? George Brett Base Short Print 137 Royals ?? George Brett Insert - Portraits 7 Royals ?? Ryan O'Hearn Base 64 Royals ?? Ryan O'Hearn Insert - Base Variations 64 Royals ?? Salvador Perez Base 75 Royals ?? Whit Merrifield Insert - Team Heroes 29 Royals ?? Zack Greinke Insert - 2004 DK Retro 4 Royals ?? Albert Pujols Base Short Print 115 Angels ?? David Fletcher Base 90 Angels ?? Jo Adell Insert - Squires 13 Angels ?? Mike Trout Base Short Print 133 Angels ?? Mike Trout Insert - 2003 DK Retro 10 Angels ?? Mike Trout Insert - DK 205 4 Angels ?? Mike Trout Insert - Downtown 5 Angels ?? Mike Trout Insert - Gallery of Stars 13 Angels ?? Mike Trout Insert - Heirs to the Throne Dual Player 6 Angels ?? Mike Trout Insert - Masters of the Game 3 Angels ?? Nolan Ryan Insert - The 300 8 Angels ?? Shohei Ohtani Base Short Print 124 Angels ?? Shohei Ohtani Insert - Base Variations 124 Angels ?? Shohei Ohtani Insert - DK 205 6 Angels ?? Shohei Ohtani Insert - Downtown 1 Angels ?? Shohei Ohtani Insert - Gallery of Stars 12 Angels ?? 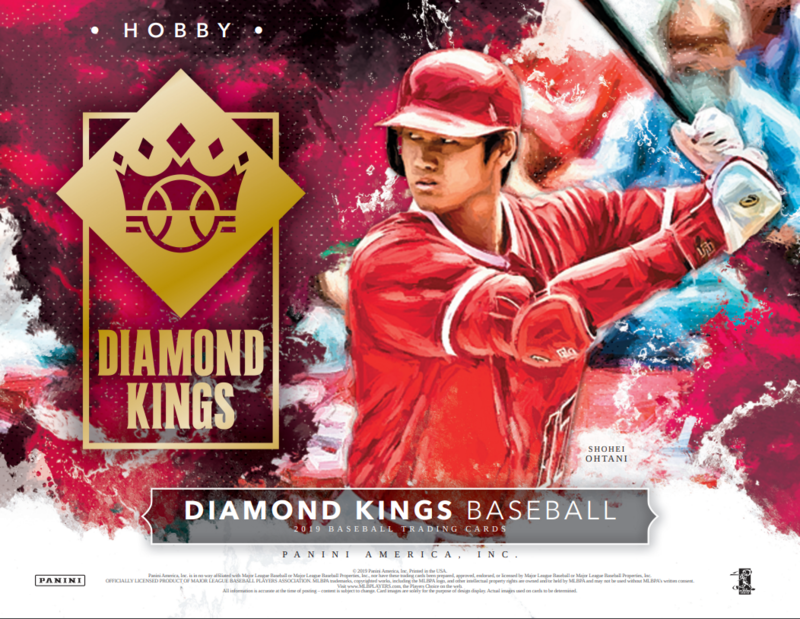 Shohei Ohtani Insert - Heirs to the Throne Dual Player 4 Angels ?? Shohei Ohtani Insert - Squires 1 Angels ?? Shohei Ohtani Insert - Team Heroes 17 Angels ?? Taylor Ward Base Short Print 117 Angels ?? Vladimir Guerrero Insert - 2004 DK Retro 2 Angels ?? Adrian Beltre Insert - 2004 DK Retro 5 Dodgers ?? Adrian Beltre Insert - DK Flashbacks 10 Dodgers ?? Alex Verdugo Insert - Squires 19 Dodgers ?? Caleb Ferguson Base Short Print 131 Dodgers ?? Carl Erskine Base 18 Dodgers ?? Clayton Kershaw Base Short Print 142 Dodgers ?? Clayton Kershaw Insert - 2004 DK Retro 8 Dodgers ?? Clayton Kershaw Insert - DK 205 22 Dodgers ?? Clayton Kershaw Insert - Gallery of Stars 14 Dodgers ?? Clayton Kershaw Insert - Masters of the Game 4 Dodgers ?? Clayton Kershaw Insert - Team Heroes 7 Dodgers ?? Dennis Santana Base Short Print 119 Dodgers ?? Jackie Robinson Base 29 Dodgers ?? Jackie Robinson Insert - HOF Heroes 8 Dodgers ?? Mike Piazza Insert - DK 205 15 Dodgers ?? Mike Piazza Insert - DK Flashbacks 16 Dodgers ?? Pedro Martinez Insert - DK Flashbacks 19 Dodgers ?? Pee Wee Reese Base 92 Dodgers ?? Walker Buehler Base 51 Dodgers ?? 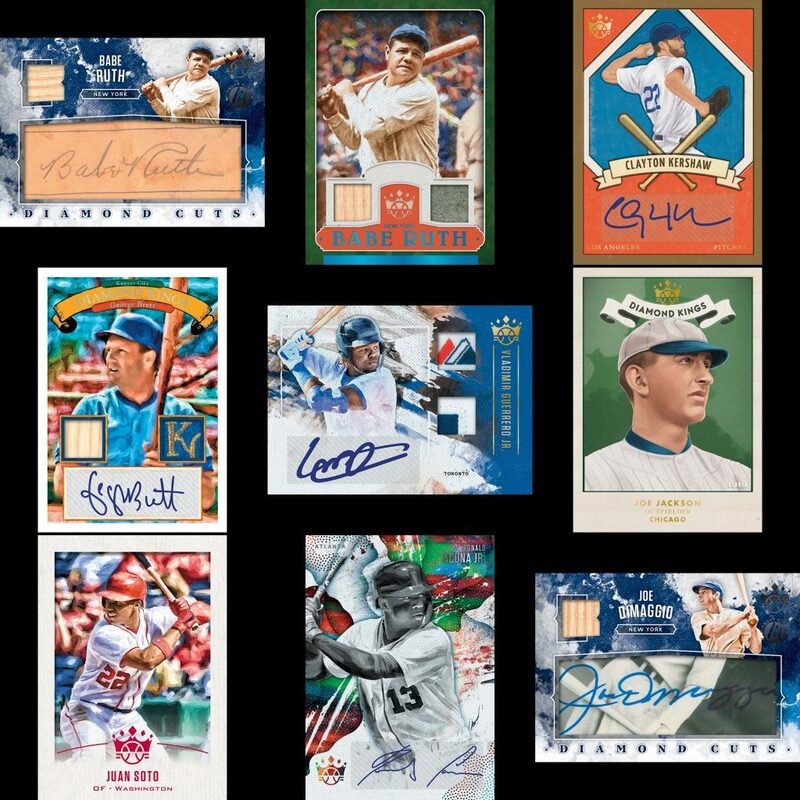 Walker Buehler Insert - Gallery of Stars 3 Dodgers ?? Walker Buehler Insert - Squires 6 Dodgers ?? Walter Alston Base 7 Dodgers ?? Dontrelle Willis Insert - 2003 DK Retro 3 Marlins ?? Giancarlo Stanton Insert - 2002 DK Retro 8 Marlins ?? J.T. Realmuto Base Short Print 136 Marlins ?? J.T. Realmuto Insert - Team Heroes 27 Marlins ?? Miguel Cabrera Insert - 2003 DK Retro 5 Marlins ?? Miguel Cabrera Insert - DK Flashbacks 2 Marlins ?? Christian Yelich Base Short Print 138 Brewers ?? Christian Yelich Insert - DK 205 12 Brewers ?? Christian Yelich Insert - Downtown 3 Brewers ?? Christian Yelich Insert - Gallery of Stars 15 Brewers ?? Christian Yelich Insert - Masters of the Game 8 Brewers ?? Christian Yelich Insert - Team Heroes 5 Brewers ?? Corbin Burnes Base 43 Brewers ?? Jesus Aguilar Base Short Print 116 Brewers ?? Jake Cave Base Short Print 114 Twins ?? Joe Mauer Insert - Team Heroes 19 Twins ?? Kirby Puckett Base Short Print 110 Twins ?? Kirby Puckett Insert - DK 205 5 Twins ?? Kirby Puckett Insert - DK Flashbacks 9 Twins ?? Royce Lewis Insert - Squires 14 Twins ?? Sam Rice Insert - 1919 Diamond Kings 12 Twins ?? Stephen Gonsalves Base Short Print 111 Twins ?? Walter Johnson Insert - 1919 Diamond Kings 9 Twins ?? David Wright Insert - 2004 DK Retro 1 Mets ?? Jacob deGrom Base 49 Mets ?? Jacob deGrom Insert - DK 205 17 Mets ?? Jacob deGrom Insert - Masters of the Game 15 Mets ?? Jacob deGrom Insert - Team Heroes 20 Mets ?? Jeff McNeil Base 54 Mets ?? Jose Reyes Insert - 2003 DK Retro 4 Mets ?? Noah Syndergaard Base Short Print 102 Mets ?? Noah Syndergaard Insert - Portraits 15 Mets ?? Nolan Ryan Insert - DK Flashbacks 12 Mets ?? Robinson Cano Insert - Portraits 13 Mets ?? Tom Seaver Insert - The 300 9 Mets ?? Aaron Judge Base 67 Yankees ?? Aaron Judge Insert - DK 205 2 Yankees ?? Aaron Judge Insert - Downtown 8 Yankees ?? Aaron Judge Insert - Gallery of Stars 7 Yankees ?? Aaron Judge Insert - Heirs to the Throne Dual Player 3 Yankees ?? Aaron Judge Insert - Team Heroes 3 Yankees ?? Alex Rodriguez Relic - Jersey Kings No Parallels 12 Yankees ?? Babe Ruth Base 3 Yankees ?? Babe Ruth Insert - Babe Ruth Collection 1 Yankees ?? Babe Ruth Insert - Babe Ruth Collection 2 Yankees ?? Babe Ruth Insert - Babe Ruth Collection 3 Yankees ?? Babe Ruth Insert - Babe Ruth Collection 5 Yankees ?? Babe Ruth Insert - Heirs to the Throne Dual Player 3 Yankees ?? Bob Shawkey Insert - 1919 Diamond Kings 11 Yankees ?? Chance Adams Base 98 Yankees ?? Charlie Keller Base 30 Yankees ?? Frank Baker Insert - 1919 Diamond Kings 5 Yankees ?? Giancarlo Stanton Base 70 Yankees ?? Gleyber Torres Base Short Print 144 Yankees ?? Gleyber Torres Insert - Base Variations 43 Yankees ?? Gleyber Torres Insert - Base Variations 144 Yankees ?? Gleyber Torres Insert - DK 205 14 Yankees ?? Gleyber Torres Insert - Portraits 2 Yankees ?? Gleyber Torres Insert - Squires 3 Yankees ?? Hideki Matsui Insert - 2003 DK Retro 2 Yankees ?? Jason Giambi Insert - 2002 DK Retro 3 Yankees ?? Joe DiMaggio Base 19 Yankees ?? Joe DiMaggio Insert - HOF Heroes 2 Yankees ?? Jonathan Loaisiga Base 78 Yankees ?? Lou Gehrig Base 16 Yankees ?? Luis Severino Base 55 Yankees ?? Luis Severino Insert - Heirs to the Throne Dual Player 9 Yankees ?? Mariano Rivera Base Short Print 125 Yankees ?? Mariano Rivera Insert - HOF Heroes 7 Yankees ?? Mariano Rivera Insert - Portraits 4 Yankees ?? Mickey Mantle Base 15 Yankees ?? Mickey Mantle Insert - DK 205 25 Yankees ?? Mickey Mantle Insert - Heirs to the Throne Dual Player 6 Yankees ?? Miguel Andujar Base 100 Yankees ?? Miguel Andujar Insert - Squires 2 Yankees ?? Roger Clemens Insert - Heirs to the Throne Dual Player 9 Yankees ?? Roger Maris Base 4 Yankees ?? Yogi Berra Base 17 Yankees ?? Yogi Berra Insert - HOF Heroes 6 Yankees ?? Al Simmons Base 11 Athletics ?? Jason Giambi Insert - DK Flashbacks 15 Athletics ?? Khris Davis Base 46 Athletics ?? Mark McGwire Insert - DK Flashbacks 6 Athletics ?? Matt Chapman Base Short Print 126 Athletics ?? Matt Chapman Insert - Heirs to the Throne Dual Player 12 Athletics ?? Matt Chapman Insert - Masters of the Game 5 Athletics ?? Matt Chapman Insert - Team Heroes 4 Athletics ?? Mickey Cochrane Base 8 Athletics ?? Miguel Tejada Insert - 2002 DK Retro 4 Athletics ?? Ramon Laureano Base 57 Athletics ?? Rickey Henderson Base 85 Athletics ?? Rickey Henderson Insert - Base Variations 85 Athletics ?? Rickey Henderson Insert - Portraits 1 Athletics ?? Aaron Nola Base 87 Phillies ?? Aaron Nola Insert - Gallery of Stars 9 Phillies ?? Aaron Nola Insert - Masters of the Game 13 Phillies ?? Aaron Nola Insert - Team Heroes 18 Phillies ?? Enyel De Los Santos Base 31 Phillies ?? Grover Alexander Base 13 Phillies ?? Grover Alexander Insert - The 300 1 Phillies ?? Rhys Hoskins Base 89 Phillies ?? Honus Wagner Base 27 Pirates ?? Honus Wagner Insert - 1919 Diamond Kings 6 Pirates ?? Honus Wagner Insert - HOF Heroes 1 Pirates ?? Kevin Kramer Base 45 Pirates ?? Kevin Newman Base 62 Pirates ?? Kiki Cuyler Base 41 Pirates ?? Paul Waner Base Short Print 129 Pirates ?? Roberto Clemente Base 5 Pirates ?? Roberto Clemente Insert - HOF Heroes 3 Pirates ?? Starling Marte Insert - Team Heroes 14 Pirates ?? Eric Hosmer Insert - Team Heroes 25 Padres ?? Fernando Tatis Jr. Insert - Squires 15 Padres ?? Jacob Nix Base 79 Padres ?? Luis Urias Base 82 Padres ?? Manny Machado Base Short Print 149 Padres ?? Tony Gwynn Base 37 Padres ?? Tony Gwynn Insert - DK Flashbacks 3 Padres ?? Carl Hubbell Base 23 Giants ?? Chris Shaw Base 68 Giants ?? Christy Mathewson Base 24 Giants ?? Christy Mathewson Insert - The 300 2 Giants ?? Madison Bumgarner Insert - Team Heroes 22 Giants ?? Mel Ott Base 6 Giants ?? Mel Ott Insert - HOF Heroes 9 Giants ?? Steven Duggar Base Short Print 109 Giants ?? Alex Rodriguez Insert - DK Flashbacks 14 Mariners ?? Felix Hernandez Insert - Team Heroes 12 Mariners ?? Ichiro Base 80 Mariners ?? Ichiro Insert - 2002 DK Retro 5 Mariners ?? Ichiro Insert - Base Variations 80 Mariners ?? Ichiro Insert - Gallery of Stars 8 Mariners ?? Ichiro Insert - Heirs to the Throne Dual Player 4 Mariners ?? Justus Sheffield Base 66 Mariners ?? Ken Griffey Jr. Base Short Print 113 Mariners ?? Ken Griffey Jr. Insert - DK 205 3 Mariners ?? Ken Griffey Jr. Insert - Gallery of Stars 11 Mariners ?? Randy Johnson Insert - The 300 7 Mariners ?? Yusei Kikuchi Base Short Print 112 Mariners ?? Yusei Kikuchi Insert - Base Variations 112 Mariners ?? Albert Pujols Insert - 2002 DK Retro 6 Cardinals ?? Albert Pujols Insert - DK Flashbacks 1 Cardinals ?? Albert Pujols Insert - Portraits 3 Cardinals ?? Bob Gibson Base Short Print 123 Cardinals ?? Dakota Hudson Base 69 Cardinals ?? Daniel Ponce de Leon Base Short Print 134 Cardinals ?? Jack Flaherty Insert - Squires 7 Cardinals ?? Matt Carpenter Base 73 Cardinals ?? Matt Carpenter Insert - Downtown 6 Cardinals ?? Paul Goldschmidt Base 47 Cardinals ?? Rogers Hornsby Base 14 Cardinals ?? Stan Musial Base 1 Cardinals ?? Stan Musial Insert - HOF Heroes 4 Cardinals ?? Yadier Molina Base Short Print 127 Cardinals ?? Yadier Molina Insert - Portraits 5 Cardinals ?? Yadier Molina Insert - Team Heroes 13 Cardinals ?? Blake Snell Base Short Print 146 Rays ?? Blake Snell Insert - DK 205 18 Rays ?? Blake Snell Insert - Heirs to the Throne Dual Player 10 Rays ?? Blake Snell Insert - Team Heroes 11 Rays ?? Brandon Lowe Base 35 Rays ?? David Price Insert - Heirs to the Throne Dual Player 10 Rays ?? Adrian Beltre Base Short Print 128 Rangers ?? Adrian Beltre Insert - Heirs to the Throne Dual Player 12 Rangers ?? Adrian Beltre Insert - Team Heroes 23 Rangers ?? Alex Rodriguez Insert - 2003 DK Retro 1 Rangers ?? Nolan Ryan Base 33 Rangers ?? Nolan Ryan Insert - Base Variations 33 Rangers ?? Nolan Ryan Insert - DK 205 11 Rangers ?? Patrick Wisdom Base Short Print 104 Rangers ?? Danny Jansen Base Short Print 120 Blue Jays ?? Jonathan Davis Base 94 Blue Jays ?? Josh Donaldson Insert - Heirs to the Throne Dual Player 2 Blue Jays ?? Justin Smoak Insert - Team Heroes 21 Blue Jays ?? Reese McGuire Base Short Print 122 Blue Jays ?? Rowdy Tellez Base Short Print 141 Blue Jays ?? Ryan Borucki Base Short Print 106 Blue Jays ?? Sean Reid-Foley Base 72 Blue Jays ?? Vladimir Guerrero Jr. Insert - 2003 DK Retro 8 Blue Jays ?? Vladimir Guerrero Jr. Insert - Heirs to the Throne Dual Player 2 Blue Jays ?? Vladimir Guerrero Jr. Insert - Heirs to the Throne Dual Player 15 Blue Jays ?? Vladimir Guerrero Jr. Insert - Squires 8 Blue Jays ?? Bryce Harper Base Short Print 143 Nationals ?? Bryce Harper Insert - 2004 DK Retro 9 Nationals ?? Bryce Harper Insert - DK 205 24 Nationals ?? Bryce Harper Insert - Heirs to the Throne Dual Player 8 Nationals ?? Bryce Harper Insert - Portraits 9 Nationals ?? Juan Soto Base 65 Nationals ?? Juan Soto Insert - Base Variations 65 Nationals ?? Juan Soto Insert - DK 205 19 Nationals ?? Juan Soto Insert - Gallery of Stars 6 Nationals ?? Juan Soto Insert - Heirs to the Throne Dual Player 8 Nationals ?? Juan Soto Insert - Squires 5 Nationals ?? Juan Soto Insert - Team Heroes 15 Nationals ?? Larry Walker Insert - DK Flashbacks 13 Nationals ?? Max Scherzer Base 42 Nationals ?? Max Scherzer Insert - DK 205 13 Nationals ?? Max Scherzer Insert - Masters of the Game 2 Nationals ?? Randy Johnson Insert - DK Flashbacks 18 Nationals ?? Victor Robles Insert - Squires 10 Nationals ?? Vladimir Guerrero Base 91 Nationals ?? Vladimir Guerrero Insert - Base Variations 91 Nationals ?? Vladimir Guerrero Insert - DK Flashbacks 8 Nationals ?? Vladimir Guerrero Insert - Heirs to the Throne Dual Player 15 Nationals ? ?